For failing to make it to the premiere of ‘Heaven on my mind,’ Omoni Oboli was called out and scolded by her colleague, Ini Edo. The movie, a joint effort by Ini Edo and Uche Jombo, was premiered on Thursday, November 29, 2018 at the Filmhouse IMAX cinema in Lekki Phase I, with several Nollywood stars in attendance. Seeing her inability to make the premiere, Oboli took to her Instagram account to wish Uche Jombo well while reiterating her love and support for her. ‘Hey lover ♥ Still on set and hoping and praying to finish on time so I can join you in celebration of your latest movie #HeavenOnMyMind @uchejombo You know I got nothing but immense love for you…alas the show must go on!..’ Oboli wrote with a picture of herself and Jombo. 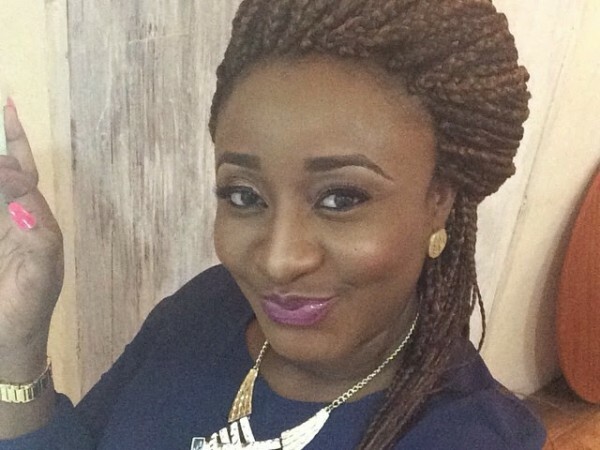 In a swift reaction, Ini Edo took to the comment section to call out Omoni and scold her for not showing up. The premiere of ‘Heaven on my mind’ had in attendance Kate Henshaw, Rita Dominic, Chioma Akpotha, Ufuoma McDermott, Mercy Aigbe, Adunni Ade, Fathia Balogun, Toyin Abraham and Uchenna Nnanna-Maduka. The movie is expected to start showing at all cinemas from Friday, December 7, 2018.